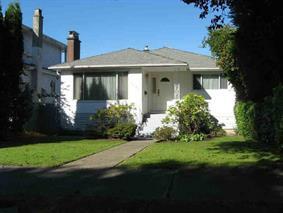 The 3rd owner of this 3 bdrm classic home from the late '50s has done a great job of maintaining it. From the Low-E D/G windows to the insulated vinyl siding, from the 1 yr roof to the modern stainless steel appls, pride of ownership shows . The LR/DR boasts inlaid H/W floors under carpets. Tiled entry foyer & hall. Oak kitchen features Corian counters, oak cabinets & tiled floor & splash. All main floor bdrms have oak floors. Original, retro bathroom tub & sink are offset w/tiled floor & vanity top. Mostly 7'2 high bsmt is fully finished w/a large rec room including wet bar & a wood burning fireplace. 1 bdrm, 3 piece bath w/shower stall, storage/wkshp & a spacious laundry/utility round out the bsmt. Big deck, single car garage.